We are very excited to be presenting the 25th anniversary of the St. Louis European Auto Show in 2012. 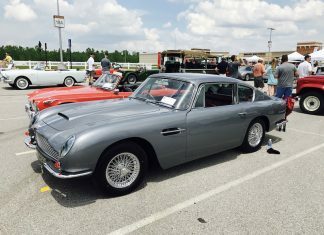 Over the years the event has seen some of St. Louis’s most stunning European cars and this years proves to be no different. We’re pulling out all the stops for this special anniversary so don’t miss it on June 3, 2012. I own a Ginetta sports racer, 1 of the 25-30 British marque in No. America. It is currently in storage; what is required to show the car on 6-2? Donate: It’s for the Kids! © © 2017 All Rights Reserved. This work is licensed under a Creative Commons Attribution-NonCommercial-NoDerivatives 4.0 International License.